In 1962, Don Draper went to see La Notte and loved it. He’s up on his cinema, and that’s no surprise. When someone asked if he’d seen The Bridge on the River Kwai, he responded, “I’ve seen everything, and I have the ticket stubs to prove it.” Not that Don could assimilate Antonioni into advertising that quickly. He’s much more likely to use Bye Bye Birdie as a starting point for his work; foreign innovations are, for now (the show’s up to 1964), just that. I love that line about the ticket stubs, and I’ve always thought Don’s cinephilia was an important key to his character. (Back in the second season, around the time of the Defenders episode, there was a scene in which Don slipped into a movie theater to catch an arty foreign film.) It’s a signifier of Don’s secret discomfort with the status quo, and one that we media geeks in the Mad Men audience are likely to find especially resonant. Rizov goes on to discuss how both Mad Men and the sixties advertising world it depicts intersect with the European New Wave films that Don Draper enjoys. That caught my attention because it comes close to one of my pet obsessions: tracking the influence of foreign films, and the New Wave in particular, on the American television shows of the fifties and sixties. The phyical comedy in the famous grape-stomping episode has been so often cited that one sometimes forgets that the episode spoofs the exotic films washing ashore from Europe. Lucy is set to star in Bitter Grapes, a reference to Bitter Rice (U.S. release date: September 18, 1950), and the wine vat melee can be said to parody, in the vaguest way possible, a similar brawl in the Giuseppe De Santis film. It is one of the first of many comedies (not to mention commercials) to use foreign films, or certain cliches about them, as the punchline to a joke. But were there cases in which television writers engaged with sixties art films at a level beyond the industry in-joke? 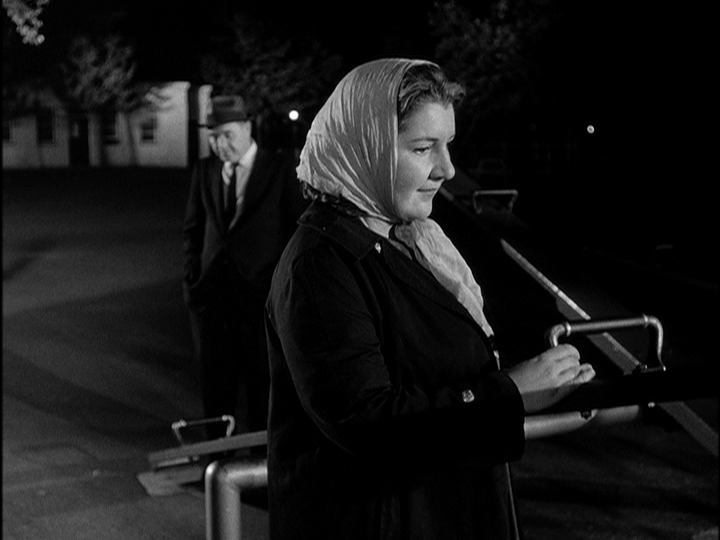 Abram S. Ginnes’s tale of a bitter, dying middle-aged woman (Maureen Stapleton) was a distaff reworking of Kurosawa’s Ikiru (U.S. release date: March 25, 1956), filtered through Ginnes’s own obsessive Freudian preoccupations. In this episode written by Robert Bloomfield, a group of criminals, plus an undercover federal agent, drive a truck loaded with nitroglycerine over a treacherous mountain path. “Yeah, that was a rip-off of The Wages of Fear [U.S. release date: February 16, 1956],” agreed the director of the episode, Ralph Senensky. The pilot for a short-lived series, Lucan told the story of a young man who was raised by wolves and now seeks to acclimate himself to human company. The writer, Michael Zagor, was inspired by Francois Truffaut’s The Wild Child (U.S. release date: September 11, 1970). NBC executive Freddy Silverman “read the script and said he liked it a lot, but he said he thought that Lucan should be looking for his father,” said Zagor. “I said, I can’t do that. It [violates] the purity of the script. I want to talk about the problems that he had in the world, and I want to do Francois Truffaut, and so on.” Eventually Zagor added the father angle. Lars Passgård, the young man in Ingmar Bergman’s Through a Glass Darkly (U.S. release date: March 13, 1962), makes his only American film or television appearance as a German teenager in search of his American father (James Whitmore). Passgård was not a star, even in Sweden, so it’s reasonable to surmise that someone on Route 66 (producer, director, casting director) made a special effort to hire him because he or she remembered the Bergman film. Leela Naidu, the star of James Ivory’s The Householder (U.S. release date: October 21, 1963), makes her only American television appearance as an exotic love interest for the protagonist of this series, college professor Joseph Howe (Jason Evers). This flashback-laden episode of The Defenders hit a post-production snag when the producer, Bob Markell, was denied funds for the requisite number of ripple dissolves. In the manner of Hiroshima Mon Amour (U.S. release date: May 16, 1960), Markell put the show together using direct cuts between past and present. “I was amazed that it worked so well,” he said of a technique that was not common on American television at the time. Markell was a cinema fan who recalled attending the New York premiere of Tom Jones (U.S. release date: October 6, 1963) with two other Defenders staff members. When I asked, he agreed that Tony Richardson’s film and others may have influenced the increasingly non-linear editing of The Defenders in its later seasons. XI. “Are You Ready For Cops and Robbers à la Alain Resnais?” by Rex Reed, New York Times, July 23, 1967. The producer of N.Y.P.D., unmentioned in Reed’s article, was Bob Markell. XII. Most of Melnick’s claims were puffery, or were never implemented. George Silano left the series after a few episodes, and N.Y.P.D. imported exactly one director each from Canada (John Howe) and Great Britain (John Moxey). Markell remembered the camera operator, Harvey Genkins (who eventually replaced Silano as director of photography), as the person who did the most to establish the look of the series; and Alex March and David Pressman, both veterans of live television drama, as the most important directors. The voiceover narration that gave Rex Reed his headline was dropped early in the first season; the actors, among others, considered it awkward. 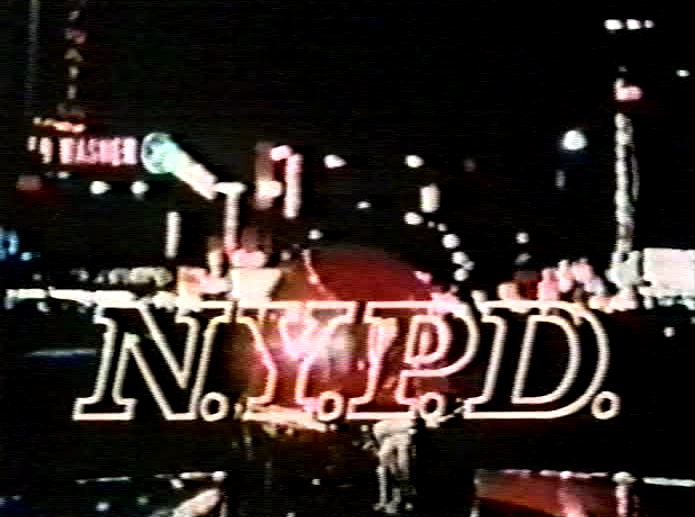 But N.Y.P.D.’s formal decisions were determined first and foremost by the low budget and the compressed (three to three-and-a-half days per episode) shooting schedule. The sixteen-millimeter film stock and handheld cameras were “a purely economic decision,” Markell said. Only later, he explained, did the crew come to appreciate the aesthetic opportunities they offered. Of course, many of the formal innovations for which Truffaut and Godard received credit were also motivated by limited resources. The crew of N.Y.P.D. was not imitating them so much as making the same discoveries out of the same necessity. XV. Which brings us back to Don Draper. Perhaps Don could, if Mad Men lasts another couple of seasons, forge a new career as the executive producer of an arty TV cop show. XVI. None of the above is meant as a substitute for a rigorous textual analysis. It’s simply a set of clues arrayed to establish the idea that, yes, the makers of popular television programs during the sixties were paying attention to new ideas from foreign shores. All quotations are taken from my own interviews unless otherwise noted.